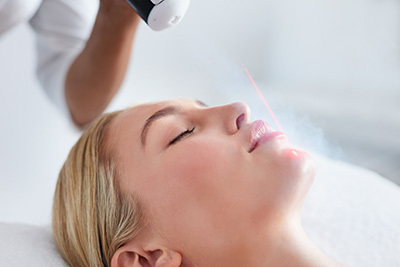 The Surf City Chill Facial is a non-invasive and pain free facial that helps boost collagen and overall skin health. It takes only 10-12 minutes and can be done without having to remove your makeup. It's great for a lunch time no down time skin improving session. During your Surf City Chill Facial, the skin is rapidly cooled. This leads to a tightening of the microcirculation blood stream, known as vasoconstriction, and then dilation of blood vessels and capillaries which helps to flush toxins and impurities away from the skin. The process supports better oxygenation of dermal cells, encourages collagen production, and helps to detox and rejuvenate the skin.